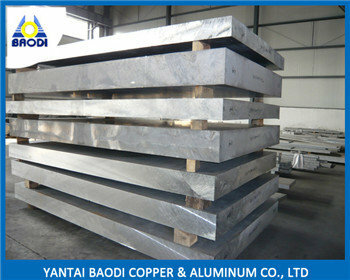 rolled aluminium sheet and plate 6061,6082 Commonly used in the manufacture of heavy-duty structures requiring good corrosion resistance, truck and marine components, railroad cars, furniture, tank fittings, general structural and high pressure applications, wire products, pipelines, various toolings etc. Yantai Baodi Copper & Aluminum Co., Ltd. was established in 1993 with the registered capital 20,000,000 Yuan, belongs to GOLDSUN Group which is a listing company. It is a company that specialize in producing,processing and selling aluminum and copper products: It is one of the largest companies which produce and sell aluminum and copper products in North China at present and a sole enterprise which can supply net scale specification according to costomers inquirement.Our company is a professional non-ferrous metal company with the importing and exporting right. Our main operating organizations: Production department, Technology and Quality department, Domestic sales department, International sales department, After-sales service department,Dalian branch company,Qingdao banch company, Weifang branch company. Professional Processing: Our company own professional processing equipment such as roller,annealing stove,tension leverler, slitting machine, Extruder, Sheet shear machine, Plate sawing and cutting machine, Tube and bar sawing machine, Circle&triangle cutting machine,cover film machine etc.